We bought chocolate (for making Mole Coloradito and hot chocolate) from this stand in the main Oaxaca mercado. 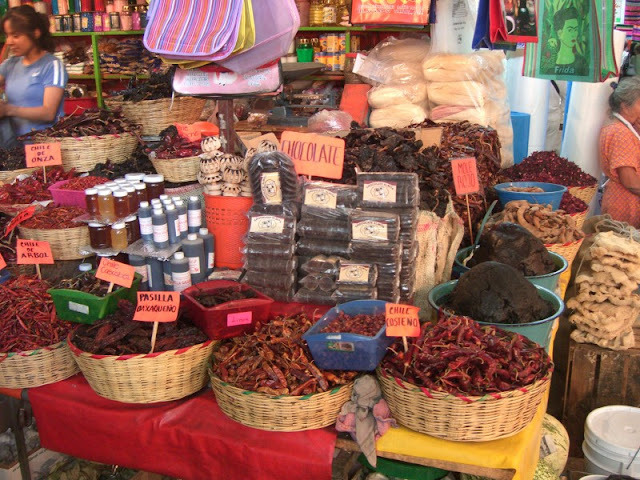 They also had a nice variety of dried chiles, and you can see mounds of mole paste on the right. 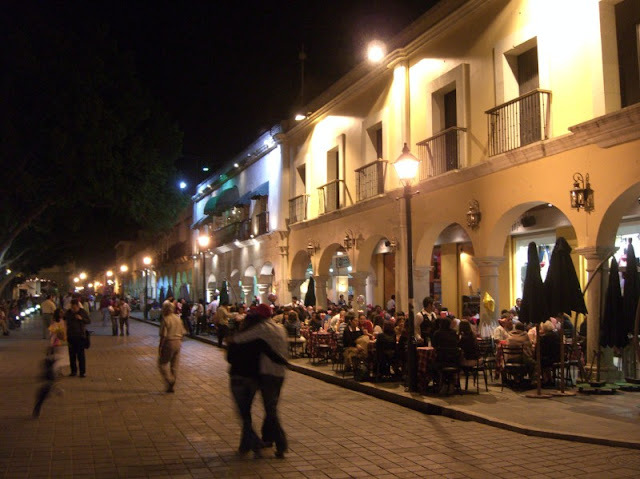 Oaxaca's zócalo is always active and full of people, day and night. 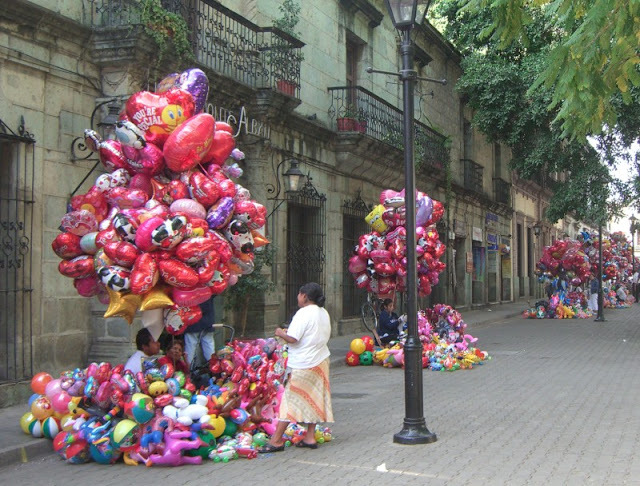 In the park next to the zócalo, there are always a bunch of vendors selling "globos". 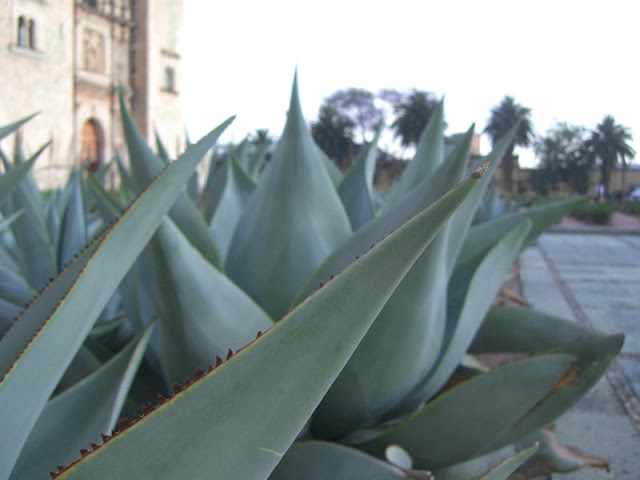 Maguey (Agave) plants growing in front of the Iglesia de Santo Domingo. 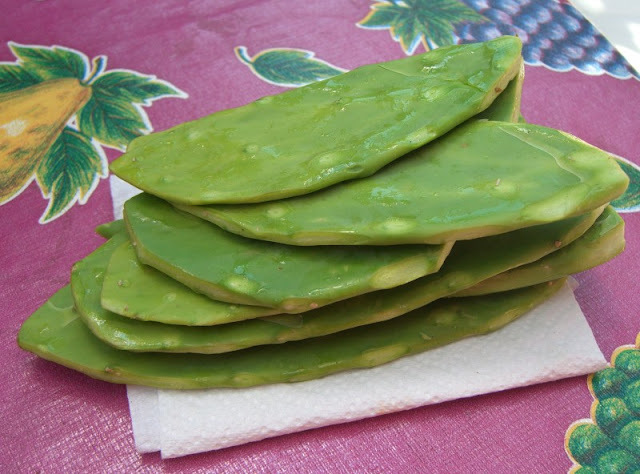 Nopales, fresh from our local market. We used these when we made tasajo and cecina enchilada tacos. 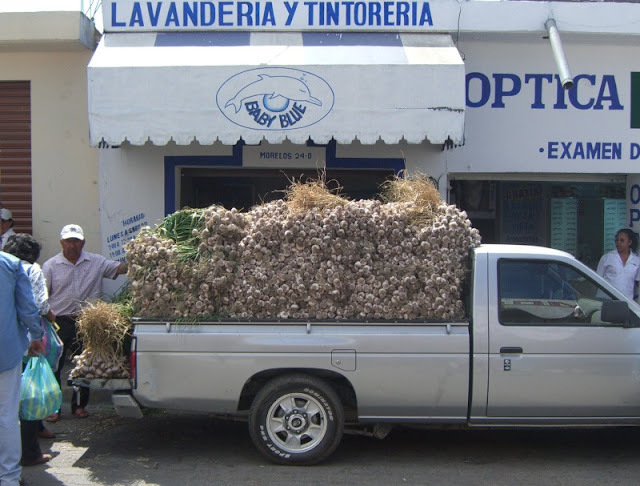 A truck full of garlic at the Etla market. 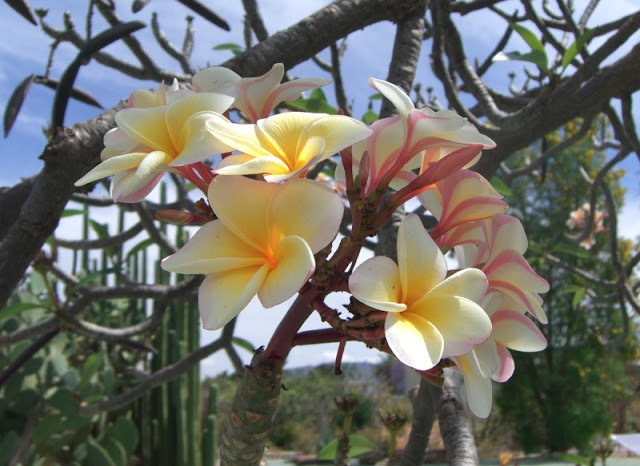 Flowers on a tree in the Ethnobotanical Gardens. We took a guided tour one morning and really enjoyed it. 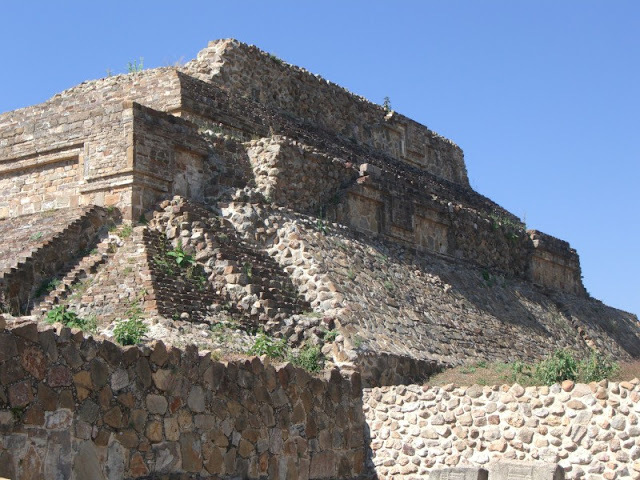 One of the structures in the ancient city of Monte Albán. It is an easy day trip from Oaxaca, and definitely worth it - particularly if you have not been to other ruins in Mexico. 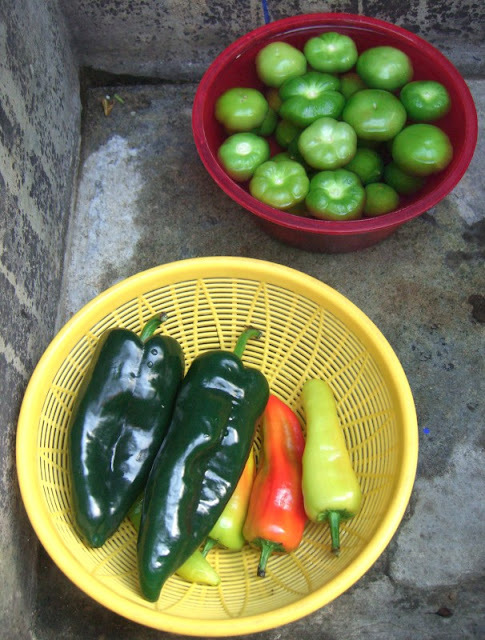 Soaking chiles and tomatillos - we soaked all of our produce in a dilute chlorine solution in order to ensure disinfection. 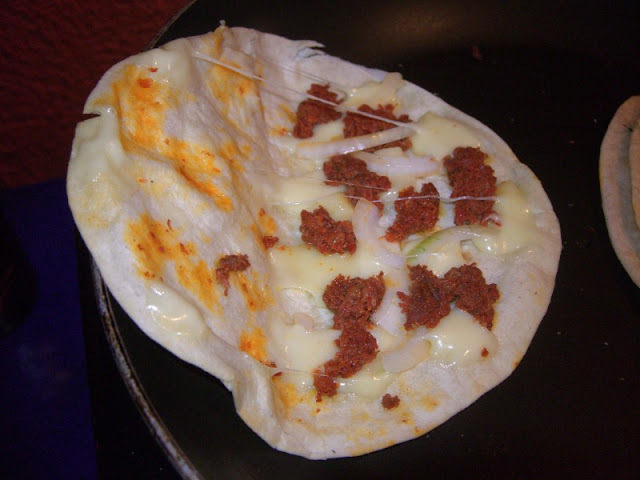 Nothing gets much better than a "home"-made chorizo quesadilla. 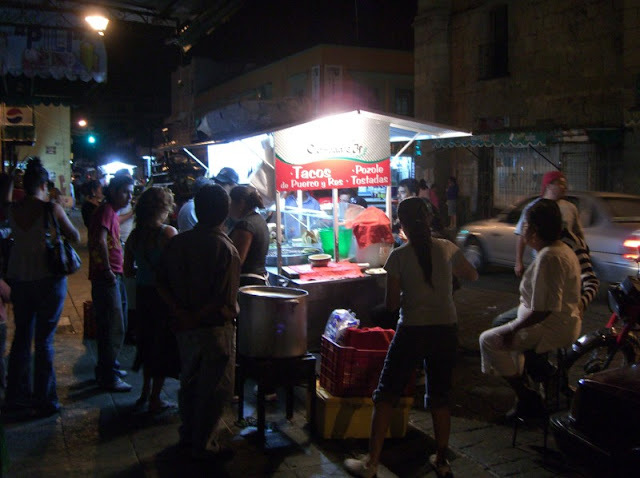 Taco stands selling tacos (mostly made from various pig face parts) and big bowls of pozole set up shop outside the main mercado at night. That's an impressive load of garlic! I love the photos of your trip. I've tagged you in my blog so check out the latest post for rules. Looking forward to reading/seeing your adventures.